If you experience a flood, there are some important safety factors to remember involving electricity. Stay safe, and keep these tips in mind if this disaster strikes your home or business. 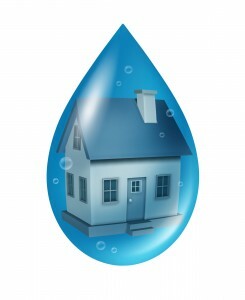 Remember that electricity travels unrestricted through water. If you have electrical power strips out of sight behind desks and other furniture, it is easy to forget they are there. When standing water gets to one of these power bars, it can electrocute you if you step into the water, even at the other end of the room. Enter rooms with standing water before assessing the dangers. Enter affected areas where water may have reached exposed electrical outlets, plug-in power strips, switches, or other connections to electrical equipment. Enter rooms where the ceiling is sagging from retained water. Use a regular household vacuum cleaner to remove water. They are not built for that unless designated as a wet/dry vac, and you may ruin the device or electrocute yourself. Allow books, newspapers, magazines, or other colored or ink-based items on wet carpeting or flooring. Turn electricity back on until you are certain it is safe to do so. Note if water may have reached exposed electrical outlets or power strips. Shut off the source of water, if that is possible. Shut off the electricity to all affected areas. Break the circuit at the circuit breaker box, but not if you must walk through possibly-affected standing water to get to it. Remove to protected dry areas, any valuables, artwork, documents, electrical equipment, and furniture that can be moved. Place spacers such as caster cups, aluminum foil, or wood blocks between carpeting and the legs of furniture that cannot be removed from the area. Review your coverage with your Gee Schussler Insurance Agent. For help with all your Illinois insurance questions, or for a quote, contact Gee Schussler Insurance Agency, serving South Chicagoland and Cook County from our offices in Orland Park.